How to Update the Camera Custom Firmware - What is camera custom firmware? The term firmware in the world of camera has similarity to software in other gadgets. Yes, you may see menu along with the features available when you turn on the camera. Interestingly, it is possible for you to update the firmware. The main benefit is that you can enjoy some new features without having to buy a new camera. 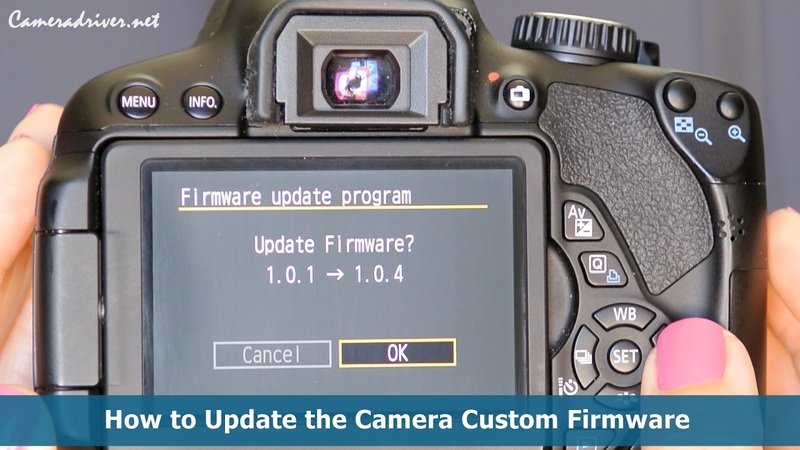 The way to update the firmware must be different from one camera to another. It also depends on the brand and series of camera itself. But in general, here are some steps to do so. Check them out. Just after buying a new camera, it is better to check the Website of Camera Company to know whether there is a new update. You should also check it around three or four times in a year. However, the updates are commonly only available up to the newest series. When your camera is too old, the hardware is commonly not compatible anymore. Although there are numerous types of point and shoot camera as well as DSLR that enables the firmware update, not all of them save the new version the same place. In general, the update information is kept behind the Setting menu on the last option between date and LCD brightness options. Meanwhile, the instruction can be found on the manual book. After you have known the right version used by your camera, the next step is checking the official website of camera producer to find the support and download. You can search it by submitting the keyword the series of camera you use. Commonly, you can just directly find the right link. Just click the link then to update the camera custom firmware. 0 Response to "How to Update the Camera Custom Firmware"